If you can’t find the answer you’re looking for on our site, you can hopefully find it here! Just click the category you have a question about and parse through the questions. How Quickly Do You Deploy and Get Servers up and Running? It typically takes less than 24 hours to get you set up. Do You Offer Free Setup? Can I Customize a Server to Match My Business Needs? Do you offer a lease-to-own model? If I find a server I want, are you willing to purchase the server for me and then lease it out to me? Do server plans come with monitoring? Hardware? Availability? File System? What type of control do I have over the server? What about API, Root access, KVM/IP graphical control access? Can I Choose Any Operating System? Is There a Minimum/Maximum RAM? HDD? Is cPanel Included for Free? How Quickly Can You Replace/Upgrade Hardware? Can I Swap out a SATA HDD for a SSD Free of Charge? Do All Server Plans Come with RAID Protection (Redundant Array of Independent Disks)? What comes pre-installed on the server? How Many IPs Do I Get with a Dedicated Server Plan? Can I Send You Hardware to Add to My Server? Can I Purchase RAM or a Hard Drive(s) and Have You Install It in the Server? Are Your Servers Fully Managed? How Will I Access My Server Remotely? Do you offer full root and shelf access with every server? Do you allow private DNS server setup? What Quality Is the Hardware? Do you offer one-month contracts? Year Contracts? Do you offer prepay options to reduce cost? We accept credit card, check, ACH, wire, and PayPal. No Bitcoin. Do we offer free setup? If I cancel my server do I get a refund? 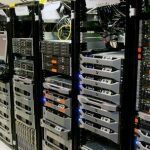 Does Colocation America have a reseller agreement? Where is my server hosted (Colocation / Dedicated)? Let’s just say it would take a lot to knock us down. We don’t have a 100 percent Uptime guarantee for nothing. We are outfitted with N+1 power redundancy, equipped with UPS systems and backup diesel generators. What certifications does your data center have? Are all of your servers protected behind a Cisco ASA firewall managed by engineers? What is the data center’s tier rating? What is the minimum size colocation project that your data center will consider? What size client would the company consider building a new data center? Do you offer managed hosting? If so, what level of support? Is your support 24/7? On-site? Tech support via phone, email, and chat? What is the average ticket response time? Is it United States based support? Do you support third-party software? What makes Colocation America’s network so great? Is it unlimited bandwidth? Incoming? Outgoing? Is there a max? What are the main bandwidth providers you work with? How many providers do you blend for your BGP? Do you offer a 100 percent network uptime guarantee? What is the standard network uplink speed? Is there a max on IPs? No, you can purchase additional IPs when customizing your server plan, however we do require justification for additional IPs beyond what is included. A sales representative can answer all your questions on this matter. What is the max speed? How do we monitor our data centers and servers? How many IPs do you get free with a colocation plan? Is there a max? What types of colocation are there? Managed - we take care of most things, server-side for you. What is the total data center floor space? What is the available data center floor space? What is the building floor load capacity of the data center space? Does the data center have a raised floor? Is the data center build to seismic standards? How high is the data center ceiling? What is the elevator’s height and load capacity? What are the loading dock hours? Are there any restrictions transporting form the loading dock to the data center floor? What is the power Watts per square foot? Is there adequate room for expansion in the cooling plant? What is the redundancy level of CRAC or CRAH units? Most of our data centers employ (N+1)–two-sided CRAC or CRAH deployment. Please contact a sales representative for more details. Fire Suppression - Very Early Smoke Detection? Clean Agent Fire Suppression? Pre-action Sprinkler System? Wet Pipe or Dry Pipe? How is the facility zoned? Security Is facility staffed 24x7x365? Do customers have 24x7 access? Does security make physical checks? What security measures are in place at the facility? Video Surveillance? How often is maintenance performed on all critical infrastructure components? How often are generators tested under load? What Managed Services are provided onsite? If you can’t find the answer to your question on our FAQ, please contact the appropriate channel below.